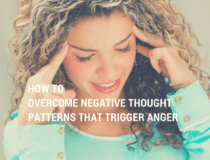 I have a technique that has been really helping with dealing with anger in my family. It sounded almost too simple when I read it, but often it’s the really simple shifts, the ones that we think could hardly work, that help us most. This idea for dealing with anger comes from a recent comment on the Parenting an Angry Child post I wrote some times ago. I read it and at first I thought, oh he’s too old for that now, but it resonated with me so much – it makes such sense given my son’s sensitive nature. He may be frequently angry, but he seems to feel everything very intensely, so he’s terribly sensitive to my aggravation and frustration over his anger. “Same here, angry 4 1/2 year-old boy. Solution: HUGS to calm him down. We haven’t figured out how to always prevent the crisis, but only how to stop it: by not getting into a discussion/lecture/time-out or whatever. We see each tantrum as a cry for love and affection, get down on our knees and open our arms. Sometimes he rushes straight into our hug and sobs in remorse for a few secs, then completely relaxes. Sometimes he claims he doesn’t want to come anywhere near me, but I remain in my open arms position and say “I’ll be waiting for you to come, come when you’re ready” – a minute later he’s here. Some other times he will scream that he will never come close to me, I leave and go about my business after I state that “as soon as you feel ready, come give me a good hug”. Sooner or later, he always comes. When relaxed, we can talk about the problem. Adopting this “My arms are open.” position has been opening my heart, and allowing me to shift into listening mode rather than defensive “This Yelling Is Too Loud” mode. 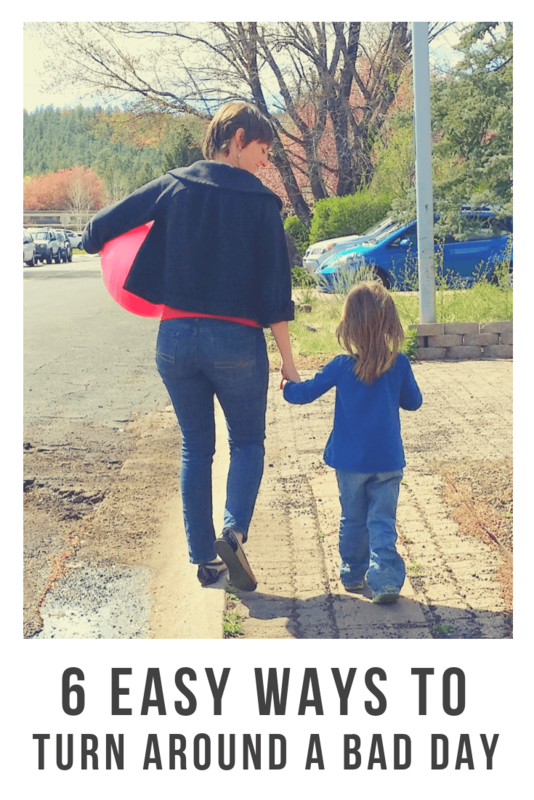 Giving space for hugs and calming before jumping into the work of talking through what is happening has allowed me to hear my son better and offer tools rather than just recrimination. No, it’s not always as simple as that, but many times it is. I’m not sure why it’s taken me this long to get to the point of using this as a default, but somehow Mary’s words spoke to me, and I wanted to share them with you in case you too need another way to deal with anger that helps you and your child calm down and reconnect. What do you think? Have you tried hugs for dealing with anger, or do you think you’ll give it a try? Ever wish you could 'reboot' your day? Thank you for this simple awesome idea. I’m going to try if with my high strung, quick to anger 6 year old son. I really like this idea, and will try this with my 8-year old and 4-year old. I have a feeling it might not only help them, but myself! Instead of commanding, softening. Softening is what we all seem to need in my house these days. I’m definitely going to try this. I have a very quick to anger, highly sensitive 3.5 year old son, who was recently diagnosed with ASD. Over the years we have tried everything, time-outs, consequences, etc, but I have come to realize that his intense outbursts scare him more than anything, and what he really really needs to know is that we are there for him and nothing bad is going to happen to him when these feelings overwhelm him. What better way to show him this than a hug. So simple, like you say, but that’s exactly what it should be. Thank you also for the support. The Reason I Jump will change your world for the better. I wish every person would give it a read. In 90 minutes it opened my eyes and transformed the way I interact with, understand, and love my Autistic children. Hugging it out is simply reinforcing spectacularly bad behavior. It’s teaching a kid that behaving badly gets you snuggles from mommy! Snuggles from mommy are free and should come any time they are needed! 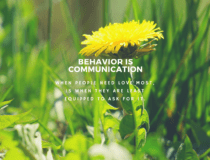 Perhaps the “bad behavior” is only a result of something deeper that truly needs that hug! Things like yelling, spanking, expressing anger towards your child, etc. reinforce bad behavior too — because they teach a child that aggression is an acceptable response. If mom and dad can get angry and yell/hit/have their own emotional outbursts, then it must be normal. Hugging your kids is not condoning their behavior. It’s acknowledging their feelings (and people, including kids, have a right to feel what they feel; feelings are neither right nor wrong, they just are). When someone is overwhelmed by feelings, you can’t rationalize with them — they won’t be able to really hear you or communicate back effectively. A hug acknowledges the child’s feelings, and your love and care for them no matter what. 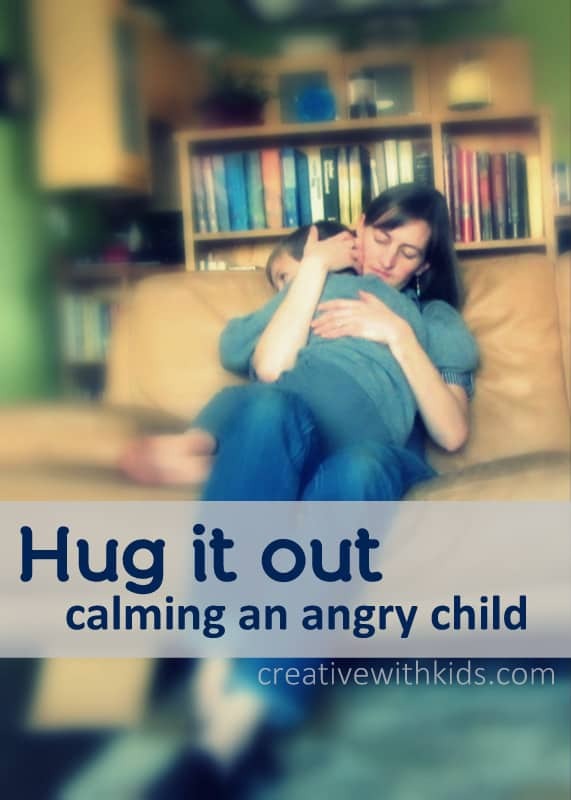 This allows them to feel safe enough to start to calm down. Once they’ve called down, THEN you deal with things like consequences, boundaries and limits, discussion of rules and expectations, etc. It’s also the time to explore what led up to the outburst so you can ideally prevent it from happening again. Hugging it out is not the end all solution. It’s just a way to end the outburst so you can calmly and rationally get to the real work of resolving things. Really well stated Danielle, thank you. I have read a book about the brain connections in kids. Hugging him or her helps to build some connections that are needed to think about the facts (by the way, angry childs are less of those connections that regular kids, that is why they react as they react). Hugging them doesn’t send the message that they are right, is just a message that they are loved (love is unconditional) and also help them having empathy. And this works for all kids, not only for angry childs. I read in another book that angry childs can judge themselves as really bad monsters that don’t deserve to be loved after all they did. So, knowing they’re loved gives them the strenght to try to improve. I hug a lot my son when he is having a crisis, even when I tell him that he won’t get what he is asking for. I’ve done this a few times with my 3 year old. Once recently when she was supposed to be in “time out” (a tactic I rarely use because it’s more maddening trying to get her to stay there than the original behavior was)….she got so emotionally out of control and was shaking so instead of redirecting once more, I asked if she wanted held. We sat together quietly while she calmed down and practiced calming breath techniques once she felt a little better. And tried some funny breathing exercises that made her laugh. Once calmed down, I explained what behavior got her the “time out” and she then did sit quietly for the 3 minutes. Which was amazing. Though it seems or feels less empowering to relinquish the fight (like you’re giving in or wimping out), changing the tone through, say, a hug, can do wonders for all involved! Yes! My 5 year old has been struggling with knowing what to do when he feels angry and this always works. And helps me to remember to be that rock for him, instead of getting upset and making him – and me – feel worse. We are then able to talk it through. Together. Hey do you deal with at school? I come from a family tht has disciplined the “old school” way and im trying to change tht and do positive parenting rather than yelling spanking, but time out and rewarding and removing dotn seem to be tht effective at his age, preschooler. 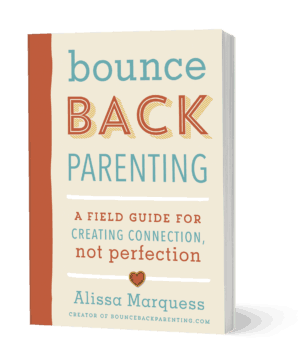 How do you deal with trying to do the positive parenting outside of the home environment? Are you finding that the caregivers are disciplining in a way that doesn’t match your values? I have to admit, I homeschool, so I don’t deal with nearly as much out of home care as many other parents. I will ask on my Facebook page later today though, and see if we can get some replies to help. Speaking of school and caregivers, I did run into conflict with my ‘hug it out’ approach to frustration and anger (tantrums). It was OK with some of his daycare providers (they were open to hugging) but definitely not all of the teachers. The usual time-outs, yelling, ostercising, notes home to me, were how the days went. Frustrating for daycare, I do feel for them. And of course, the Kindergarten teacher wasn’t going to hug it out with him. Eventually, he learned that mom and teachers do not handle things the same. Of course, I don’t expect anyone to handle my son as I do. And they didn’t. He had countless silent lunches. I do believe 1st through 3rd grades were devastating to his self-esteem. He reached all-time lows. It was a diagnosis of NVLD and ADHD that helped teachers see him from an alternative point-of-view. It also explained so so much, particularly the calming, centering effect of a hug. The sensation of being held closely gave focus to an onslaught of emotions (and their corresponding biochemistry). It has the bonus of the “I love you unconditionally” effect. It is the same exact thing as comforting a crying baby, doesn’t it? The physical sensation triggers a counter bio-chemical reaction (subsides adrenaline), which brings one out of fight-or-flight mode. I always felt judged (that I was in the wrong) for my POV that he needed an encompassing, super-patient, hug to help him transition out of the absolute frustration he was displaying. Teachers, family, friends, you name it, they thought he was just being willful. But I followed my instincts that said what worked for child #1 is not working for child #2. He needs something different. I wish “Hug-It-Out” replaced the popularity of “Time-Out”. Start it young, folks, cause it doesn’t work quite so well with the teenagers…… at least not until they calm down themselves. Oh man, I wish I’d tried this last week when EVERYTHING set off my normally laid back 4yo into a screaming, whining, crying, fixated wart. Distraction hasn’t worked. Ignoring hasn’t worked. Belittling and lecturing and losing my temper sure hasn’t. Wow, WHY didn’t I try a hug? Maybe because I was too mad, but I needed a mental u-turn and should have considered kindness! Hello, Thanks for this wonderful idea. But how about a teenager? My teenager is angry most of the time these days and I do not know why. I am totally confused how to find out the reason? Do you any person to place or even tactic that works? We’ve used it for my daughter as a teenager. Since we hug each other regularly it wasn’t totally awkward. She would resist but ultimately calmed down quite a bit. ZA, I recommend Jane Nelson’s books Positive Parenting, and Positive Parenting for Teens. Thank you for your original post. That took courage. I identify with so much of what you wrote. My almost 4 year old has very similar “big feelings” and I am at a loss! Question: When you offer hugs, does your son ever hit you? If so, how do you handle this? I believe this method truly addresses the need behind the behavior, but my son refuses and chases me around the house to hit (or bite) me with the fight-or-flight deer-in-headlights look in his eyes. (Maybe you know the one?) If you have tried something that works please let me know! Thanks again for sharing. My son does this. He is 4 and has sensory nero issues due to extreme prematurity and a stroke at 2. After a suggestion by his occupational therapist I started doing this some (apparently I need to do it more!). When he is at the peak (head butting, biting, pinching) I face him outward and hold him tight and close. One arm ones under his chin, it is basically a mix of a bear hug and a wrestling hold. He is extremely strong for his age and size (took 4 men to hold him down for a medical procedure once) and I’m rather small, but this works. I also breathe in his ear and help him count breaths. If he is only a little upset I can ask him to do “5 breaths” until he calms down. The teen posts above actually made me realize where he got this from… ME! My husband has done this to me time to time to get me to calm down, not the outward facing hold, I don’t bite… Much ;), but the bear hug. He won’t let me go until I calm down, he has only done this a handful of times in our 7 year marrage.. But interesting to notice! I stumbled upon this on Pinterest! But actually, I had an experience a few weeks ago with this when my daughter was having a crazy fit from being overly tired. We were visiting at my mom’s house for a party and she was so tired, screaming, crying, running down the halls. I’m a wait it out type of person but this was unlike anything I’ve ever seen. The third time she was going to run past me I grabbed her and gave her a big hug. She calmed down almost instantly! I never realized how powerful hugs were. I have an almost 12 year old son and I have done this his whole entire life. When kids get angry I know first hand it gets the parents angry and I got tired and frustrated punishing out of my anger so then it hit me what do I want when I am angry a hug so why wouldn’t my son want that also. Not a flimsy squeeze but avtight huge with my hands closed and tight presses up and down his back while holding him tight but not to right. Calmed him right down. Then we could talk. Never realized that this was a real technique. I live by this! I love adore and admire my son. I’m so glad you posted this! I’ve been using this technique since my second child was born and my first lashed out (at 20 mths) and hit both the new baby and me. That was 4.5 yrs ago and we haven’t looked back. It’s effective, responsive and creates a sense of trust for a child that their parents will meet their emotional needs no matter what the situation. Hugging sounds like a lovely idea when opposed with an angry toddler. I will definitely try this method with my gorgeous little boy as I know he only gets angry when he is frustrated about something. Thanks for sharing this great solution! I am going to try this and see where it takes us! One night she started the fit throwing and screaming and crying after I got her dressed for bed and I just shut the door to my bedroom, sat up against it and was very quiet at first. Then I started praying out loud where she could hear me and I started crying because the Holy Spirit heard me and was with me as He always is and she stopped and came and sat in my lap while I finished praying and was completely calm and quiet. I just held her and rocked her and she only did that one other time after that honestly and I did the same thing. She hasn’t done it since and even now when she starts to get upset or mad to where she even thinks that may happen, I hold her and hug her and pray over her and she’s better and so am I.
Alot of times they don’t know how to get out what their feeling as little kids and even tho I can honestly say that I have been a screaming yelling parent at times, it works so much better when you keep calm and just let them know you love them and praying with them and over them at night. …let me just say that I serve an AWESOME God who knows how to comfort their sweet hearts. I have two Boys, 12 & 15. A long heartfelt embrace achieves what a long winded conversation may not. Words may not be understood, a hug says it all. A friend of mine posted this on Pinterest … I feel like it was written and posted precisely for me. 🙁 I have been struggling to handle one of my 5 yr olds (twins). He is incredibly tough to parent!! I have honestly been feeling at a loss. I’ve done time outs and lately spanking. (Yes yes … Big topic of debate). I hate all of it. I don’t think I’ve tried hugging it out. I’ve been telling myself I needed to step back and maybe this is exactly what he needs. Crossing my fingers that this has answered my prayers. I hope it helps BOTH of us!! It was great to see this. 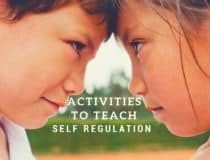 I was an Early childhood teacher before becoming a SAHM and would use this technique in certain situations. It truly does work and creates trust. I find when I am able to stay calm enough to use this solution it works remarkably well. 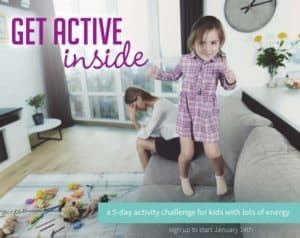 But sometimes its not just my son having a tantrum – mummy tantrums and this technique are not very compatible. Ugh, I know what you mean. Mama tantrums aren’t compatible with anything really are they?! This has been helping me avoid some though at least. This is mainly what I do with my 4y old! Exactly for the same reasons! Why oh Why have I not thought of this before! I have a near perfect child who is 5 1/2 but turns to a possessed devil when tired. She does not realise when she is tired (I do well ahead of time) and usually tell her to rest.She is a very intelligent girl who likes to keep her mind active which makes her tiredness worse and so too her mood which usually results in both of us yelling. She does not like it when I yell at her to do something for the umpteenth time and nor do I but we both have a quick temper and she often will get sent to her room if we don’t resolve the issue. Once we both have had time to calm down we talk about the situation so that she recognises it is her behaviour we don’t like but still love her. Now with a new strategy in my corner I will use this so that we can reach a point of sanity much quicker, a better result for both of us. Once again thank you for this really simple strategy. You’re so welcome, and that’s how I’ve been feeling about it too, so I’m glad I could share this simplicity so other parents can give it a try. I’t been a really huge help here, and really good for my relationship with my kids. This follows from a book I read many years ago called Taming Toddlers. Apparently, when your child has what we call a ‘temper tantrum’, they do not understand what is happening to them, why they feel like that or why they cannot control themselves. Consequently they become scared and the cycle continues. Therefore, strong hug will calm them and reassure that someone has control as they have lost theirs. I have tried it many times and it really works. The strong hug also works as it traps flailing arms and legs. I did not offer the hug later, I initiated immediately and again, it works.. This works well for our almost five year old daughter. HOWEVER, so many of the times she acts out is when I call her out for mistreating her 3 year old sister (taking, not sharing, typical issues). Time outs turn into screaming fits. I know a hug would settle her down but how does that look to the younger daughter? It’s as if I’m rewarding the older with affection for hurting the younger. Thoughts? I agree, hugs work. I’ve been using hugs to calm down my 3 year old daughter. After she has calmed down, then we talk about the issue. Sometimes, I think they need to let it out of their system because they don’t know how to otherwise express themselves at their young age. Can’t tell you how much helpful this is… Just two days back my 2 yr old was super sensetive and ignoring hasn’t work… After ignoring for 20 mins I lost my temper and screamed loudly on her and she got super scared and hugged me… I was so upset myself for loosing my temper.. And was feeling so helpless as I couldn’t make her calm… I wish I should have tried this simple thing… I am sure this gonna help me a lot… Thank you so much… ???? Best wishes Elena. With my most sensitive child dealing with anger had really been one of our central lessons. I can’t tell you how relieved I am to find a gentle way to stay present during the anger. It’s not always perfect, but it’s better for both of us. I use this frequently with my almost 4 year-old son. I am a stay at home mom and I am with him all the time. Even I get frustrated to the point of breaking sometimes and he will just come up and give me a hug. Especially as I am 3 months from my due date with my second child, and having to deal with a teenage step-daughter too. That does not make things easy on me. But for us this works most of the time, even if it takes as long as 15 minutes to calm the situation. It is a technique I will continue to use with him and the new one when the time comes. Yes, I have done this with my kids. And yes, it works better than ANYTHING else. Sometimes it’s just a matter of me being able to lay down MY anger and open up to my child in those moments. This is a technique that we are taught over and over in foster parent training. They call it a “time in” rather than a “time out.” It doesn’t always have to involve a hug, but it just means that in those moments of anger to pull the child closer physically and emotionally rather than isolating through time out. Is it crazy to say that this is a tactic that I, myself need at times? When I get so emotional or upset about something all it takes is a good hug from my husband and I’m instantly calmed down and can talk clearly. Oddly enough, it took me awhile to realize that the same thing worked for my kids. It is such a game changer! I agree – someone mentioned Oxytocin hormones. I think for some of us a hug triggers that it’s OK to relax, and then of course we can think better. I love the idea of this, but how do you get past the feeling that you are giving in to them? My daughter will get very worked up and at the end of it, she wants a hug, but I almost feel like if I give her a hug I am rewarding her bad behavior. Sorry if this doesn’t make sense. But we have so many power struggles and not that I am trying to “win” per se, but I do want my daughter to know that I am in charge and her ridiculous outbursts will not be tolerated. Obviously if we can prevent the tantrum in the first place that would be wonderful. But, I know sometimes my daughter doesn’t want anything to do with me when she is throwing a fit! I have started doing this with my nearly 9 year old daughter who has off the scale tantrums. It really, really helps. I know exactly what you mean about, “I am in charge and her ridiculous outbursts will not be tolerated.” Although it has taken a while (years) i have eventually learnt to look at it this way: The outbursts are her way of expressing pain, anger, frustration etc, all of which are valid, real emotions. My job is not to suppress those feelings in her ( imagine the fallout from doing that…) but to help her express them differently. If we can hug it out, she calms down, trusts me more, and then we can talk it through. I hope I’m teaching her a better way to express herself. The tantrums are less frequent and less violent. Having said all that, they can still be hurtful and infuriating! Try not to take it personally. When in doubt, hug it out! 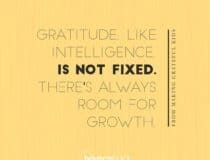 Have done this intuitively from the start. I’ve never yelled but know some that do and have continually suggested this for them. My older 7 year old son is quite highly strung and can get really upset and angry sometimes, I find a hug really calms us both down and allows us to then talk about what upset him etc. another tactic I sometimes use when all else fails, when he’s in the throws of his anger I’ll say ” oh the angry monster has visited you, tell the angry monster it’s time for him to go! And I’ve even opened the back door on occasion and asked him to tell the angry monster to go out the door. I know it sounds crazy but it makes him look at his anger and somehow diffuses it. I wish it was that easy. This only works sometimes – namely when big sister is at school. When she’s home I can’t afford to just do that as angry Mr almost 5 will lash out against her if not physically stopped. or he will grab the nearest thing an threaten to break it – usually something she or someone else in the family holds dear. Sometimes I do time-in with him. which means I physically remove him from the situation – usually to his room where we then sit on the bed – and then I sit next to him quietly until he’s ready to talk. Other times this does not work at all and only makes his rage worse. I have tried so many different strategies. Sometimes one of them works but often I’m at a complete loss. To clarify, once he has released some of his rage, the hugging always works to settle everybody again and repair hurt feelings and reassure him that my love is unconditional. But when in the middle of an outburst, it often doesn’t work. We are going through an extremely rough patch right now. Way way way worse than the temper tantrums his big sister has ever displayed. This is a great idea. Our daughter is just learning to speak and verbalize why she’s mad, and her Dad and I have found almost by default that just sitting with her quietly and letting her compose her thoughts helps immensely, or just sitting with her on our lap or next to us helps us all process and get to the bottom of the situation faster and better. What your talking about sounds like SPD which is what my son has and thats why he gets angry & frustrated alot. I already hug my son when I start to see signs that he really needs a hug. When my oldest is crabby, I put her in water. Food colouring and glow sticks in the bath shake things up, and she can’t stay mad. I did this just tonight with my two year old. When she is upset and crying, I will give her a big hug and then talk to her. She quickly calms down when I sympathise with her frustration / anger and giver her a big hug. It works with my son too however I fail to try this method out when he hits me or hits his little sister. How am I suupose to hug him when he hits any of us? Wouldnt this reinforce the bad behavior and show him its ok to hit, mummy will hug you anyways?? Im quiet confused here how to react in this situation. I know that by hitting hes crying out for help, attention most of all and love. But I find it impossible to hug him afterwards. Pls advise what should be done if that case and if applying this method would still be ok or not. I forgot to mention that my son just turned 3, his sister just turned 1 and his main problem is to adapt with the presence of his little sister eventhough its been a year now. You may want to try the outward facing bear hug/ wrestling hold when your mad. It allows you time to calm down, and stops him from hurting others (and sometimes a chance to calm down. Also we have had success with “mad feet” (we have him stomp the floor when he is angry) or since mine headbutts things I will put him in the recliner and have him headbutt that. Maybe having him hit a pillow would help you, at least inthe short run until you can find some other acceptable way to release his anger? Also have you tried writing down when/why/where he is hitting? You may discover a changeable pattern. My boy of 5 has been defiant, spitting, hitting, bullying his 2 yo sister and aggressive towards me since being moved up a group at preschool. I’ve been responding with reasoning, then in anger, then this week in tears, trying to resist bribery, punishment etc. as I’ve read enough to know they only work in a superficial and unsatisfactory way. I often have the urge to pick him up off his feet and today I decided to do a cooling down bear hug actually taking him outside on the doorstep to change the scene. At first it was restraining in a babe in arms position (holding wrists firmly as he wanted to hit out), but I could keep him still until we both started to calm down and the hold relaxed into a hug then I said we’d do circular or square breathing (breathe in, hold, breathe out, hold: visualising or drawing the shape with finger/hand) counting down from 8 to 0. Every time his behaviour got antisocial, I repeated this. Including in a busy restaurant where I was on my own with the two kids. It’s probably happened between 5-10 times in the morning and then this afternoon went better and it’s only happened once. I thought there must be something out there like this and found this page. Even though it’s tough at first, to be physically close through the anger till it melts away feels instinctively right – I’m hoping that if I can keep this up consistently we can just cut straight to an open armed hug! Things have got so bad recently something’s got to change it and help us reconnect and words just weren’t doing the trick at all. I like the sounds of this hug it out theory. I will defiantly have to try it. I have been trying with my 3&4 year olds to have them blow it away when they get angry or really upset. My 4yo is a very sensitive boy and his 3yo sister love to rile him up which a lot of times turns into an argument between the 2 of them. When ether of them start to get angry or threw a tantrum I tell them to blow it away and within a few minutes it’s over and they start laughing again. What if he just has almost too much anger? I agree with this method but it seems like our anger is much bigger than and past hugs? As simple as it sounds I haven’t tried this with my 4 1/2 year old. I am going to give this a try see how he reponds. Reading the posts made me cry a little because it describes my son very much & ive been trying to figure somethings out as timeouts dont work it only hightens the tantrums. I dont want to spank, I have grown up in a culture that that is how you discipline but my family doesnt seem to understand why I dont want to spank. My son is soo sensitive I dont want to hurt him I want him to understand. I feel spanking only instills emotional pain & fear of me in my son both of which I do not want. thank you very much for sharing. As nice as this sounds this is not a cure all solution for all children. Like adults children are varied in experience, preference, and personality. This method was helpful for my oldest and middle child but for my youngest only increases the problem. My youngest turned 4 not to long ago and is fiercely independent. Her fits are less of temper tantrums and are more akin to a roid rage, any attention by this point only throws gas on the fire and makes the situation worse. Through observation my wife and i realized that attention was the problem and learned she needed cool of time. when the fits happen she is set aside and it is explained to her that she has alone time, that she is not allowed to leave that spot until she is done being mad. Once she cools off we can then engage her with positive attention and find out why she was upset to resolve the situation. I will be very proud the day she learns how this works and applies it herself as stress management. From what I’ve learned, this method, the hugging method, and many more stem from one thing we should be as parents, selfless. When the tension increases because our children are upset is to first set our own emotion and wants aside and not react. By doing this we can be objective to the situation, not make it worse, and find the best solutions. It truly is a task but having the mindset of solving their problem to calm them down as opposed to solving our problem by calming them down provides an opportunity for them to learn and for us to bond. Trust me no situation is perfect and I’ve found myself snapping back at m screaming child, but this is something that I’ve kept in the back of my mind so that when i do, it puts me in check. I use this with my 6-1/2 year old. Not for every situation but I’m going to try it more often now. Still looking for a way to reach him when he’s angry and lashing out physically at me or his twin brother. He’s super impulsive and I am struggling as a parent to help him find a way to overcome that. My son is 7 and gets angry and lashes out. He is so much better than he used to be. The hugs work sometimes but often he just needs me to say. Take some down time. You are angry. Collect your thought then we can talk. If he yells louder kicks screams. I calmly say I love you too much to argue. When you are calm I want to hear what you have to say. It validates him then he knows I’m there when he is ready to really talk and not yell. I’m learning not to be reactive but calm. My daughter is 6 and this is something I have to do to help her calm down sometimes. Works every time- even if at first they’re so worked up they fight it- hugs and big deep breaths. Naomi Kylie some good things in here plus links to other sites. Love you” a few times and it was like a magic wand. It won’t work every time but I’m going to adopt the arms open one too! Thank you for this. I have been feeling so hopeless about my 6 year old and her anger issues. This post led me to your Parenting an Angry Child post and before I knew I had tears streaming down my face. I realized I needed to do the same thing you did, accept my girl for who she is and stop looking for a way to solve her! Love this! Thank you for sharing! I really believe this to be effective. She’s now almost 22, and still remembers “rocky-rock” time with Mommy. ? hugs really do work! an angry child is a terrified child – we need to reassure them when their feelings overwhelm them and they are unable to cope! We need to make them feel safe, not out of control and bad! Yah I guess it would work if your kid didn’t develop a case of temporary rigamortus every time you try to put your arms around them. Tina Brown Musselman- funny we were just talking about this! It worked this am! Thankfully I haven’t needed to try this yet with Bug. There are times when I can see this as the way to go. A 3 year old boy in my classroom recently faced a parents serious problem at his home and his behavior totally changed to crying for no reason or aggressive with his classmates, the only solution I found to get him back to a normal kid is giving him a big HUG every morning. Btw I’m with my 16 kids at the kindergarten for almost 9 hours everyday for five days a week. I did it yesterday with my son and it really worked….for both of us! I wish it would work for my 7 year old 🙁 I’d end up with a black eye or broken nose he gets so physical when angry. I do this with my seven year old Aspian. The closeness and comfort for him is very calming… He eventually gets up and walks away…couldn’t have done it several years ago he would push you away if you got that close. Great parenting tip…perfect for our #Putting#FamilyFirst December parenting special – thank you! Hugs should be the answer for almost every conflict situation with child, it’s just a matter of getting to the point at which the child is ready to hug. I have used this with my 7 year old since he was 2. Sometimes kids reach a point where they no longer know why they’re upset. A simple hug provides security. I used this with my two year old this morning and problem solved. I wrote an entire essay about the struggles I have been dealing with. I have a 9 year old who is very emotional but she expresses her emotions mainly through anger, more than once a day. She always second guesses me and tries to negotiate every guideline I lay out and at times i get very overwhelmed. I don’t believe fighting fire with fire works but sometimes I have to raise my tone and she blatently does the opposite of whatever I ask of her. Her younger sister whom is 3 years old has been affected as well but my parental relationship with my 3 year old is great. Their father is completely opposite when it comes to communicating with our oldest and this is not only stressful and hurtful for me it has an even bigger impact on her. I absolutely love this Hug it out support. i have never read this article before and as I started to read it I felt confidence because while I try to parent her my way her father will talk over me and scold her not thinking of the effect it has on her. She will stomp away into the bathroom, because right now we live with my mother and we have no space of our own, then I go to her get down to her level and I allow her to vent to me and then she grabs me and we hug. Sometimes for more than a few minutes and then she has a better attitude until the next situation arises and it starts all over again. I am taking this “Hug it Out” and using it every time without any words spoken until she is ready. I believe another reason for this behavior and emotional roller coaster is the family I allow her to be around. I don’t want to keep our family away but the toxic environment we have been subjected to since she was born has finally made me realize that I have a choice and I should protect my children by any means necessary. Its time for me to stand firm and shed the negative. I truly believe when I finally break these chains were held down by that I will have the best relationship with them then I even could imagine. Am I wrong for this? I could keep listing reasons and actions or lack thereof but what matters now is that I follow through and I can have these weights lifted and give my girls exactly what they deserve. I will not do child support or visitations, I will have an open parental partners agreement as long as he also does something to better himself. I want to make it clear we are not physically abused in anyway but mentally we are exhausted between my mother and their father. In order for me to allow them into my home is if they even try to help themselves and become a positive part of our lives. If not I don’t think its cruel to keep them at a distance. I fully support this website, I love it and I absolutely love that I am not alone with this. I feel very hopeful and positive. I am open for any comments questions or concerns. I welcome them actually. Thank you for your time! I teach 3-5 year olds in a lab school setting. I’ve been using this technique for 5 years successfully. Not only does it change the dynamic of the situation, but it changes my behavior/emotions toward the situation. It also helps to remember that the child didnt wake up wanting to ruin my day–or his. we all want to have a good day! I’ve been looking for research to support this idea of hugging it out, but have found little outside of the benefits of Kangaroo Care for infants. Have you found any research? Hugging helps when my nine year old is in angry mode. She will fight it sometimes, but it does calm her down. I need to try out some of your other suggestions for when I am driving and cannot hug her. Yes. I was just reading your angry child post and then found this. I have an angry almost 4 yr old and have been struggling for a very very long time with how best to help him out. The other day instead of doing or saying anything I just hugged him. I let him cry on my shoulder. And eventually he calmed down and talked to me, when he was ready. And for once I felt like I had actually done the right thing, what he really needed. So now I’m working on having open arms more often . So touched by this word ‘ get down on our knees and open our arms’. So true. mainly for me to reduce the anger. 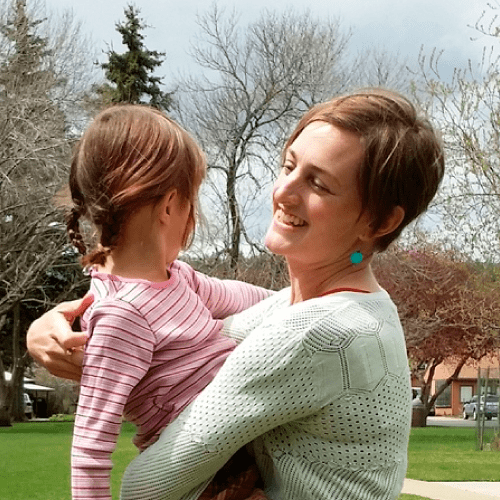 Jeslin, yes, me too – to open my arms helps open my heart. My 12 year old son has had angry outbursts since he was 3 and it wore on me. Just recently, on the advice of a psychologist, I tried hugging him when he became upset and telling him how much I love him. He calms down almost instantly and we are able to talk about it. I wish I would’ve tried hugging years ago. I enjoyed reading everyone’s comments, starting three years ago! It’s now 2017 and the same is still true. I knew I wasn’t revolutionary, but I found “hug it out” with my son early on. He needed this kind of transition, this kind of tool. Many people judged me about it. I’m thinking some of you know what I mean. It wasn’t always easy, but even today, he is now 11, he jokes and says, ‘let’s hug it out’ with his friends, sister, even me. Trying to find a way to ease his anger and frustration, which I believe all of you understand, was a journey, and ‘hug it out’ was his best solution. He was diagnosed with NVLD (Non-Verbal Learning Disorder) and ADHD much later in elementary school, and all the pieces fell together, in terms of why “hug it out” was his best solution. He is now a HAPPY 11-old. He likes himself and can speak about his feelings. He just needed to get past his frustration and anger in situations. He had no tools to deal, and hugging helped him center himself, gave him focus, gave him comfort, simultaneously assured him I loved him, without any more words. Look at me describing what it did for him — he transformed my emotions-of-the-moment, too. “Hug it out” helped me, too. So I enjoyed reading through the article and these comments. I wish we were a louder voice in parenting! Thanks everyone!! I am enjoying your website for helping me figure out how to best manage my almost 9 year olds’ tantrums. She and I don’t have lots of patience in the best of times and in the evening it is tough. However, often when I tell her to do something, she refuses, then tries to manipulate the situation by saying, “I just want a hug,” which makes me feel so horrible. Maybe I need to stop repeating myself? Currently we have a dry erase chart for saying OK and then following the directions I gave her. This is helping, but not totally curing the tantrums, which are mostly brought on by hunger and tiredness. Am I right to ignore her plea for a hug when she’s refusing to follow instructions? 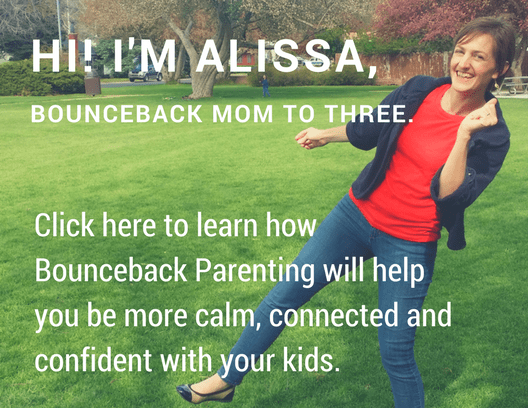 Hi, I’m Alissa, a mom to three learning alongside you as we build connected, resilient families. Get your bounce back with my Field Notes! Join me in this adventure! Subscribe free to get my notes of discoveries and insights.